I know the kitchen is my least favorite place to clean, so having a partner always helps! We often make what I like to call “kitchen decisions” when cleaning. We decide if food in the fridge has to be thrown out, if you can give any to the birds, if it needs to be frozen or cooked. No matter which path you take, they all lead to amazing speech goals! You can create the rules in any way you’d like. The important piece is to talk about how you make the decisions, ask and answer questions, and provide directions for your child to follow. Each decision also leads to a beautiful new task. For example, feeding the animals outside and cooking together are both perfect opportunities to spend speechy time together! Kids love props, so it is to your benefit here to use a hat! Assign a particular hat in the house as ‘the sorting hat’ and then explain the rules of the magical item. My rules are: once you wear the hat, you have the power to sort any and all objects in the house! Sorting is another awesome developmental milestone for our tiny friends and like all great skills, it requires practice. Your sorter can start by organizing his drawer in the kitchen (i.e. cups, bowls, plates get sorted and stacked, etc.) Or you can assign 2-5 toy items that require organizing. I like to assign bins and then let the magic begin! Example: line up the bins and assign one for LEGOs, one for automobiles, one for dolls and accessories, etc. This is a little lucky charm that my parents used when we were little! Two or three times per year we would make room for the new. You make piles of clothes that don’t fit and toys that you have outgrown. If the items are in great shape, then you donate them to others in need. You can schedule a pick up or drive or walk together to a local donation bin. 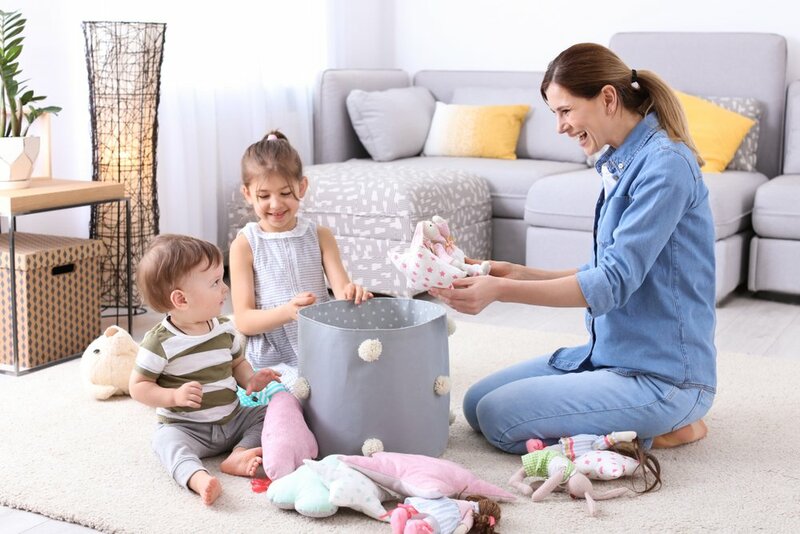 Allow your little one to be a part of the selection process and talk about the other kids who will get to use those toys or wear those clothes. This is a lovely life lesson for all children! At first, the motivation to get rid of the old will be fueled by getting new stuff. However, with time and practice you will be building an empathetic, understanding, and helpful little person!